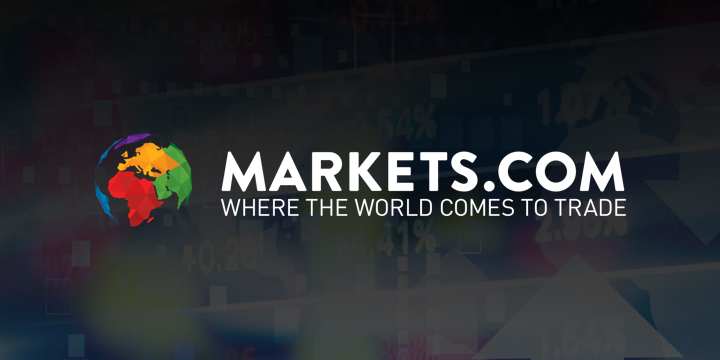 Markets.com is a trusted name in the Forex, CFD and futures markets and now have delved into the crypto industry. Markets.com is one of the most trusted names in CFD and Forex. First founded in 2006, the company has a pristine reputation. Introducing cryptocurrency trading is a welcome step for Markets.com, and we’re pleased to say the service works just as advertised. Markets.com goes above and beyond when it comes to regulation and the user experience. We’ll give you everything you need to know in this Markets.com Review, but we can already say, you won’t be sorry you tried Markets.com. Whenever we review a new broker like Markets.com, we try to figure out what they offer to the space, what cryptocurrencies they support, how functional and attractive the site is, and how positive or negative is the experience of the general customer. In the case of Markets.com, we think carefully about how an older platform stacks up beside brand new competitors which have entered the space. Does Markets.com’s history of excellent service continue to set it apart? Does its safety and regulation compliance really make much of a difference to the average trader? We’ll cover all of this and much more in the review to come. We often don’t agree with the way a broker is generally regarded in the crypto review industry. Very often, reviews basically copy and paste one another. Be assured that this review is the product of careful research and an honest perspective about Markets.com. Markets.com was founded in 2006 by Safecap Investments LTD. At the time, the company was known as GFC Markets, being rebranded to its present form in 2010. Markets.com was allowed to begin facilitating Forex trades in 2008. Since then, Markets.com has become a highly popular CFD/Forex resource in countries around the world (though, like all other CFD brokers, not in the United States). There are many CFD and Forex brokers out there, and many of them manage to skate by the regulators. Markets.com is not one of them. Formally regulated for more than a decade, Markets.com is in good standing with the UK’s Financial Conduct Authority, Cyprus’s Securities and Exchange Commission, and South Africa’s Financial Services Board. What does this mean for the user? When entrusting your money to a financial service company, wouldn’t you feel a little better knowing that they are regulated by the government? Wouldn’t you also be glad to hear that it has operated this way for at least a decade? There are many crypto businesses that aren’t regulated, and are not trustworthy. Markets.com stands head and shoulders above most when it comes to regulation and safety. Trading on Markets.com couldn’t be more straightforward. The company has had a dozen years to refine their approach, and today’s trading interface is brilliant in its sophisticated simplicity. Markets.com supports A LOT of assets, not just crypto. We’re impressed that despite their status as a one stop shop for CFD/Forex, the actual trading platform never feels cluttered or confused. Markets.com has fairly complex charting functionality. It’s not as sophisticated as we commonly see on newer crypto trading sites. On the other hand, overly complicated charting tools usually go unused. We don’t think you’ll find much lacking, in practice. New users can trade after a very reasonable $100 minimum first deposit. Leverage starts out at 50:1 but can be raised (for the brave) to 300:1. Futures contracts are easy to understand, with terms users with any experience will understand. Payouts are made quickly, and withdrawals are completed after three days and a request to Markets.com. We wish Markets.com offered a few more cryptocurrencies. Even etoro with its fairly modest list of a dozen cryptos dwarfs Markets.com. With the latter you can trade Bitcoin BTC, Ripple XRP, Ethereum ETH, Dash DASH, Bitcoin Cash BCH, and Litecoin LTC – and that’s it! On the plus side, none of these coins are obsolete. We see overstuffed coin selections on brokers all the time. Many of these projects are defunct, with flatlining trading volume, but still they persist on the site. Markets.com doesn’t have this problem, but they are missing out on some of the hottest cryptocurrencies in the space – names like NEO, EOS, Stellar Lumens, and ARK, to name a few. We see this as the biggest downside to Markets.com. Sure the site is safe, and the platform works seamlessly, but why not go with a broker that simply offers a wider selection of assets? Markets.com is limited their crypto customer base by offering such a platy selection of assets. We hope they continue to improve their site (as they always have) by adding more cryptocurrencies! Markets.com shines in its approach to fees. While many CFD and Forex brokers nickel and dime their customers – sometimes seeming to hold money hostage! – Markets.com takes the humane approach. They don’t charge anything for deposits or withdrawals. In fact, if your bank charges you extra for transfers to Markets.com, the company will even refund them! They clearly want a low barrier to entry for new customers. Like all CFD and Forex brokers, Markets.com makes most of their money in the spreads (prices above and below the market price of an asset). To make profits, a trader has to “clear the spread”. This narrow price range is where brokers make their money. And with so many customers (5 million) and such a high frequency of trades (13 million), Markets.com is not hurting for business. Markets.com is equally generous when it comes to accepted deposit methods. They accept the usual bank transfer and credit card options like everybody else. In addition, Markets.com takes Neteller, Skrill, Paypal, and “Fast Wire Transfer”. But that’s not all. Markets.com also supports nation specific payment channels, like Sofort for Germany/Austria, Giropay for Germany, IDeal for the Netherlands, Multibanco for Portugal, and UNet for Estonia. This is a wide reaching smattering of accepted payment options. With a low $100 minimum initial deposit, there isn’t much to prevent a new user from trying Markets.com for the first time. This is an essential (but sadly unfamiliar) trait for any crypto broker. As you might expect, given the tenor of this Markets.com review, their customer support is above average. Email, phone, and chat support is only available 24/5 (that’s Monday-Friday), but each is offered in a variety of languages. In our exploration of the Markets.com platform, we found customer support to be immediately responsive and reliably helpful. Users around Europe, South America, Africa, and even parts of the Middle East may find a great deal of support here. It isn’t uncommon for CFD brokers to have customer service that’s available, but evasive. For example, a common complaint about a broker (which will go unnamed) is that users try to withdraw funds, users can’t withdraw funds, users contact customer service, customer service replies but equivocates. This kind of response created one of two impressions: 1) the broker’s employees are incompetent, or 2) the broker is scammy. In our experience, Markets.com customer support doesn’t do any of the above. They always seem to have the best interest of the user in mind, quickly responding to and resolving even complex issues. Markest.com customer support understands the urgency one can feel when having financial difficulties that seem to be outside one’s control. In quickly dealing with these, the company has cemented its place in the future investment landscape. We don’t see Markets.com as a unique exchange. To be fair, how could an enduring and influential broker be “unique” after more than a decade in operation? Many brokers have copied the Markets.com formula over the years, so the early traits that made Markets.com seem so distinguished are now commonplace. Nonetheless, appearances and site features are just window dressing. At the end of the day, service is what makes or breaks a crypto exchange. Here Markets.com outclasses (nearly) the rest of the industry. One never has to wonder “is this going to work?”, “Is Markets.com a Scam?”. Markets.com drips legitimacy, and this is a priceless attribute for traders of all stripes. How Does Markets.com Compare to eToro? eToro looks better and is easier to use. While Markets.com tends to facilitate trades for experienced traders, and even corporate bodies, eToro is built for the brand new user. This is felt in its design, in its ease of use, and the more exciting variety of digital assets up for trade. eToro has more cryptocurrencies for users to trade than Markets.com. The coins available on Markets make the company appear to be a bit tentative to step into the crypto space, while eToro is going in full bore. eToro is available in the United States and 60 other countries. Markets.com is available in most of the 60, but not in the all important United States of America. Most of these considerations aren’t a problem for most traders. We admit that we’re nitpicking, though some of our readers will definitely be better served by one broker or the other. We tend to like Markets.com when we want to make more “professional” trades where we want to have a specific outcome, and wherein we require some advanced options. We enjoy eToro when we’re making more casual trades. eToro allows users to deposit only $5000 per month, while Markets.com has no limits. If you’re an experienced trader, you might try Markets.com first. If you’re just beginning, eToro is definitely the way to go. Markets.com definitely has more positive attributes than negative, but let’s sum up both here. Conclusion: Is Markets.com a Good Place to Buy Cryptocurrencies? Markets.com has long been a paragon within the CFD and Forex trading industries. No one will slander Markets.com as untrustworthy of unethical. The company has gone out of its way to demonstrate its quality through regulation from multiple international agencies. Customer service stands on its head to make sure users have a good experience. Deposits and withdrawals aren’t charged fees, and are as reliable as you could hope. Markets.com even refunds bank fees for deposits! In all of these arenas, Markets.com outperforms the competition. Where Markets.com is not as strong is in the modernity of its design and in the selection of cryptocurrencies it makes available. The site and trading platform would have looked state of the art a decade ago, but the standard of modernization has largely left Markets.com behind. Even the valuable “Markets.com” domain name speaks to an earlier time in the internet. How much must that domain be worth today? We wish Markets simply offered more cryptocurrencies. We could overlook every other issue, but with just 6 cryptocurrencies available for trade, many users will go elsewhere for a better selection. Nonetheless, if you want to trade classic crypto futures in a truly safe environment, you can’t do much better than Markets.com. With a few slight misgivings, we give Markets.com high praise.